Is your water heater acting up? Is it time for a repair or replacement? Let 4 Fathers help you figure out your Water Heater Repair in Tempe, AZ. Call to arrange for an in-home consultation where one of our highly experienced licensed and professional team members will come and inspect your heater and will give you all of the information you need to make the best choice in regards to replacement or repairs. We service all brands of water heaters and our knowledgeable staff can handle any minor repair on the spot including burned-out heating elements or leaky drains and pressure relief valves. We will let you know if your heater requires a simple fix or a major overhaul, and we won’t try to talk you into a completely new unit when a repair will do. When your water heater is broken, it feels like your life is on hold as dishes and laundry pile up and start to get overwhelming. Let us take care of the problem and get you back on track with your water being heated regularly and dependably once again. Our professionals are honest, trustworthy and highly trained so you can feel secure and confident in our diagnoses and recommendations. We will treat your home and water heater like they were our own and give you reliable service at affordable prices offering warranties and quality workmanship that you won’t find anywhere else. Our services are 100% satisfaction guaranteed. 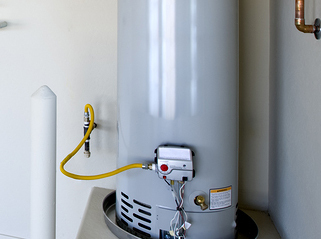 If you are in need of Water Heater Repair in Tempe, AZ give us a call, we would be honored to be invited into your home to take care of all your water heater needs.